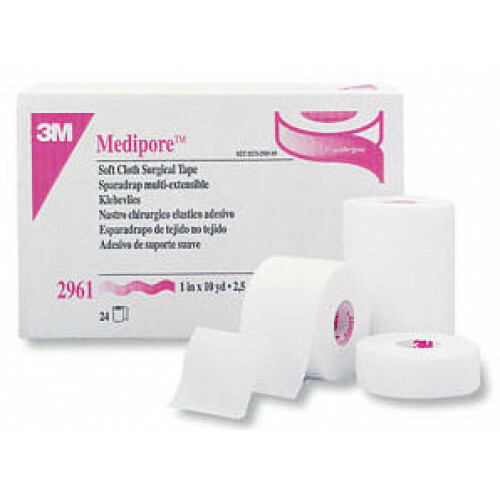 3M Medipore Soft Cloth Surgical Tape is a surgical hypoallergenic tape effectively secures post-operative dressings, especially around joints that require stretch. As an ideal retention sheeting for gauze, it can also be used to secure ostomy pouches to fragile skin without causing additional irritation, inflammation or swelling. 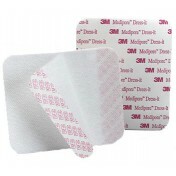 3M Medipore tape is water resistant and will not curl or peel, making it the ideal go-to tape for a variety of different situations. 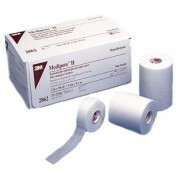 Durable and reliable, this hypoallergenic tape is a popular 3M surgical dressing tape. With the ability to be stretched either diagonally or across a wound, this skin tape is an excellent choice for a diverse amount of scenarios. You might also be interested in similar types of hypoallergenic tapes like Tenderskin Paper Tape or Curity Hypoallergenic Clear Tape. Can be stretched diagonally or across a wound. The #M Medipore tape gives me a red rash. I'd like to know the ingredients to I can avoid them in the future in other tape. We cannot accurately answer the question because we do not carry this item in our warehouse. It's best to contact the manufacturer for specific details. very good product unable to find locally. 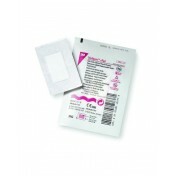 medicare soft cloth tape. Works quite well. I've needed to use this tape over a long period of time, and I kept waiting for my skin to become damaged from the twice daily use and removal. It's still perfectly fine--not a mark or sign of irritation anywhere, and no discomfort. Very good tape does not hurt your skin when you pull it off. 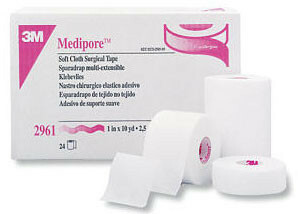 The medipore tape I bought is the best, and at a very good price. The skin around the wound is all healed in a short period of time. this is a tape that can stay on my skin for a long time without skin damage. I sweat a lot and the tape stays in place. I use it to hold on a medication patch and it is the only tape on the market that stands up to sweating and 48 hour movement of my back...including showers. love it!